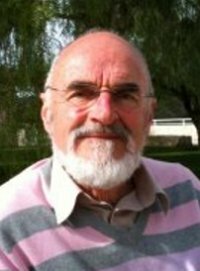 John Izod is Emeritus Professor of Screen Analysis in Communications, Media and Culture at the University of Stirling. He was formerly Head of Department and Dean of the Faculty of Arts. A Fellow of the Royal Society for Arts he is also a Founding Fellow of the Institute of Contemporary Scotland. As principal investigator funded by an Arts and Humanities Research Council grant, he led a three-year project (2007-2010) on the cinema authorship of Lindsay Anderson. As co-investigator funded by an Arts and Humanities Research Council grant 2014-2017, he will contribute to the Scottish dimension of a research project led from De Montfort University on British Silent Cinema and the Transition to Sound. Member of a research group proposing further archival study of the screen and stage work of Lindsay Anderson and his associates. Under The Skin an article with Joanna Dovalis on Jonathan Glazer's film which may prove to be the starting point of a post-Jungian tribute to Jung's Flying Saucers. Participant in two-year shamanic practitioner training programme.